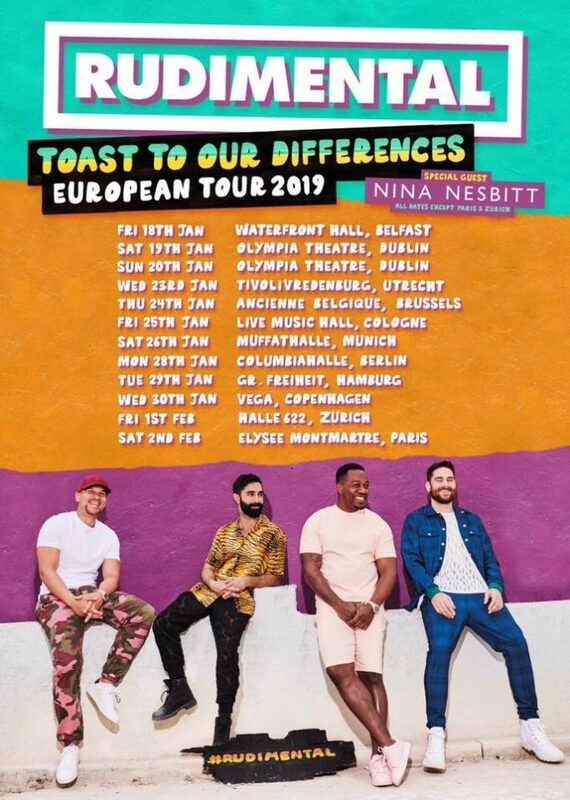 Nina joins Rudimental on their European tour for 2019! Nina is no stranger to touring! 2018 has seen her share the stage with Lewis Capaldi around the UK and Europe and also support Jake Bugg and MAX across the US. (As well as headline UK and US tours of course!). Now she’s set to join the Rudimental boys around Europe in 2019! Catch Nina at any of these dates in January!